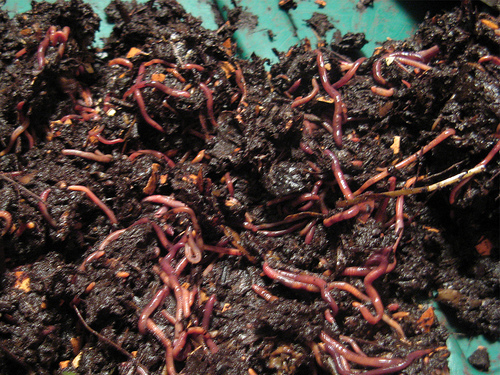 Ezra and I immediately fell in love with the idea of vermicomposting, and you should too! Vermicomposting is a way of composting, meaning it breaks down waste and turns it into super rich material plants love. Although it is hard to miss the huge thermo compost piles here at Academy, the worm bin had gone unnoticed by be until this year. The inner workings of the two types of compost are vastly different. 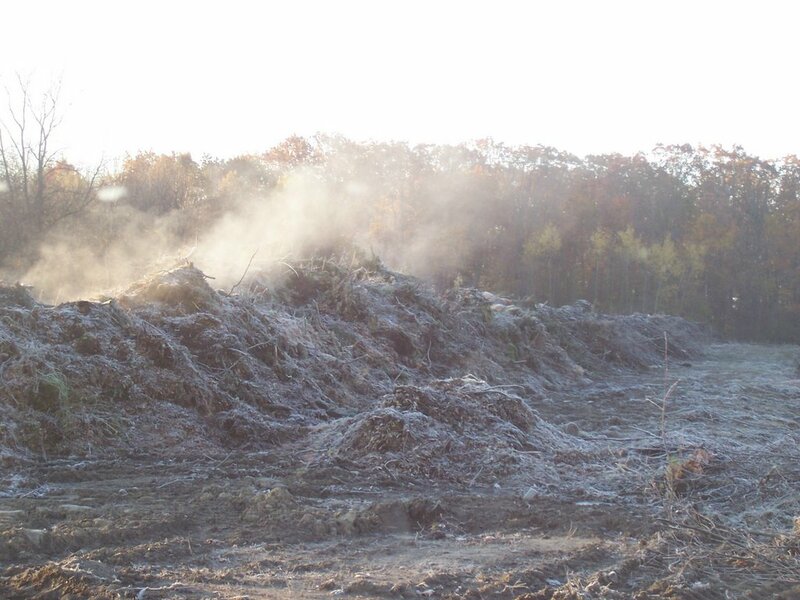 Thermo compost works because the piles become incredibly hot, but worms can’t survive in those conditions. Worms are a great way to produce rich, broken down organic matter. They aren’t terribly fussy, work quickly, can be both large scale and small scale, have little smell and attract fewer pests than other compost types. -Many micronutrients and trace minerals that could otherwise be hard for plants to obtain. -Help balance the pH of soil. -Produce an enzyme that repels pests that could be harmful to your plants such as aphids, white flies, and spider mites. -Have the ability to extract toxins and harmful bacteria from the soil. Worm bins are a bit more tricky than other compost where you can throw your waste in a pile and ignore it for years, because the worms are rather intolerant of many things. You have to carefully control the temperature, between 55 and 75 degrees fahrenheit is ideal. Below 55 activity will slow down (so you get fewer castings), and above 75 will be uncomfortably warm and they may try to escape. They can’t do any animal products, oils, or citrus. They are also very sensitive to light. This may sound like they are picky, but they are actually super well adapted to their environment and tolerant of change such as flood or food shortage. Worms can survive completely submersed in water for days, until they need to eat. They can also eat their castings up to three times when no food is present! What they are most intolerant of is dryness and heat. With this new found information, we set off to make the happiest worm bin for our Desert Oasis Garden. Under the shade of a tree in a large insulated fiberglass bin, our worms will soon thrive (hopefully). Layered with grit, leaves, cardboard, shredded paper, and food waste, they would soon begin to produce castings for our garden! May 17, 2014 in Vermiculture. ← My experience with soil sponges. I LOVE your title! I also learned alot about worm composting that I did not know – cool fact about the enzyme they produce to repel pests. Vermiculture technically is not composting, since the meaning of compost is “to combine” materials. Sir Albert Howard, learning from Indian peasants, developed the composting systems that underlie most organic agriculture. I suggest reading his book The Agricultural Testament and, if you really want to learn composting, then his The Waste Products of Agriculture: Their Utilization as Humus, both available on the internet. Vermiculture follows from the dominant ideology in commercial agriculture, which is that we are “feeding” plants. Howard’s work and that of those who followed him, takes the position that we are creating soil that can sustain mycorrhizae “fungus root” populations which in turn break down and deliver nutrients to plants. This was based on the work of the biologist M.C. Rayner, who’s book Trees and Toadstools, also available from the Small Farms Library, is a wonderful introduction into what has become a vast and interesting literature understanding the complex and multiplex relations between plants and well over 40,000 species of mychorrhizae. Even if soils don’t have nutrients immediately available, the mychorrhizae use their enzymes and vast networks to break them down, including from leaf litter, and make them available to plants, with different fungus supplying different needs, while the plants supply carbon to them. Both plants and fungus control their generosity according to the generosity of the other. They also play important role in communicating between plants, and sharing nutrients between plants. Eg, they are the essential element what ecologists call the “emergent properties” in the Native American three sisters system which makes it nearly twice as productive than when the plants are grown alone. But nearly every land plant on earth depends upon it. Then investigate Biointensive of John Jeavons (Grow More Vegetables) and Ecology Action, which developed out of biodynamic methods and other approaches to cultivation that depend not on worms but on complex agroecological knowledge instead.